ST. GEORGE, Staten Island (WABC) -- A Homeland Security employee was arrested Thursday and charged with more than a dozen cases of graffiti vandalism on Staten Island. 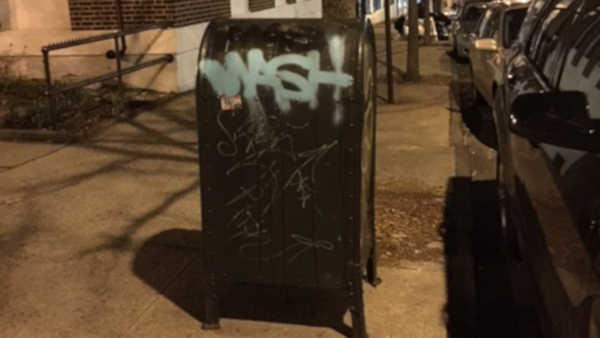 Police said the suspect, identified as 38-year-old Juan Rivera, would allegedly deface property with the tag name 'MASH.' Rivera was a civilian member of the Homeland Security department. After a police investigation, police believe Rivera was responsible for at least 14 separate incidents of vandalism throughout Staten Island. Rivera was charged with making graffiti as well as criminal mischief.